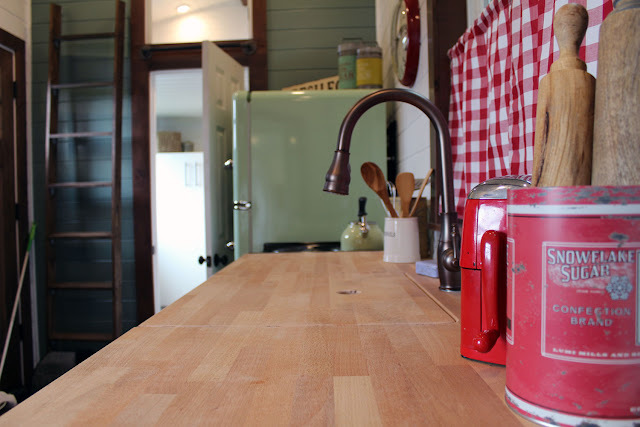 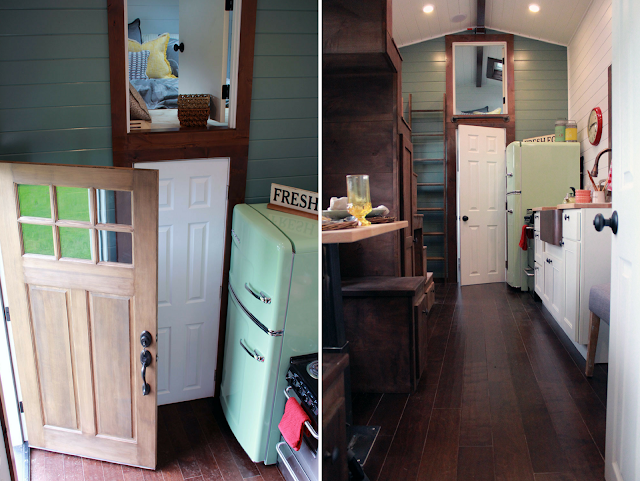 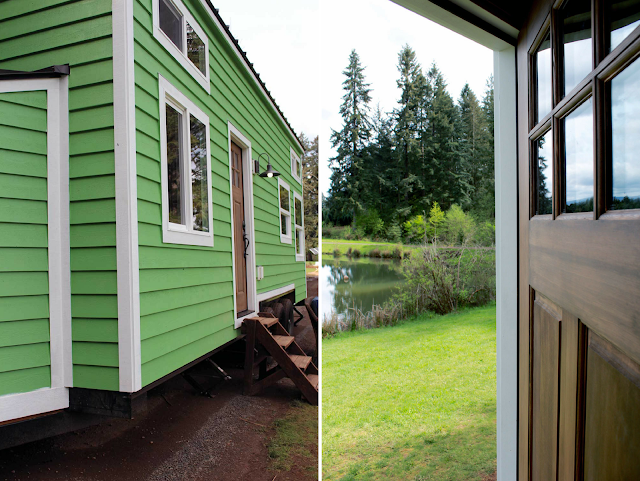 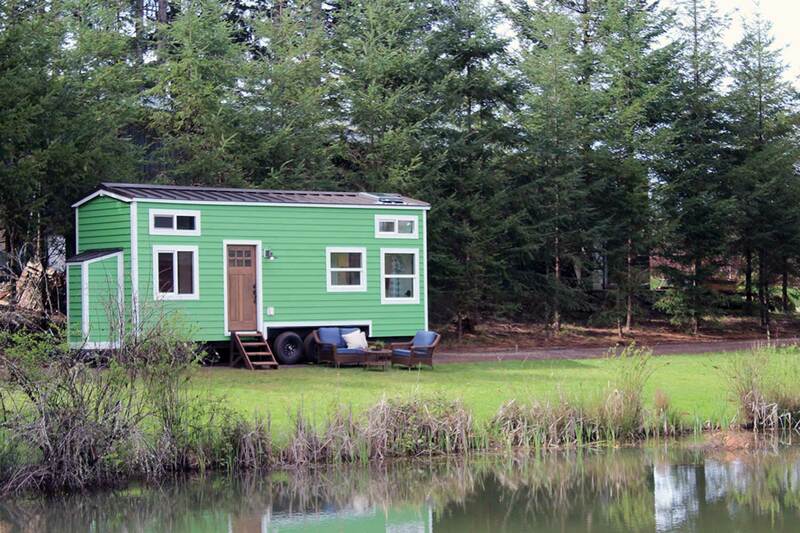 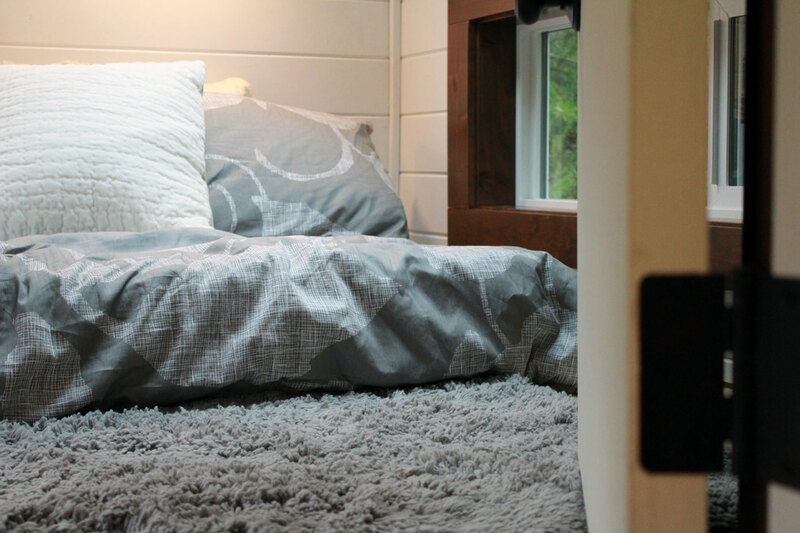 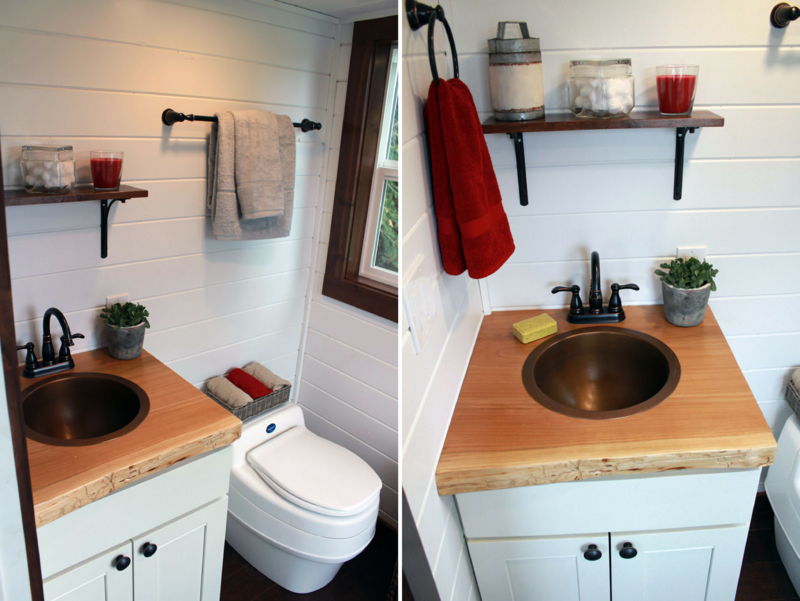 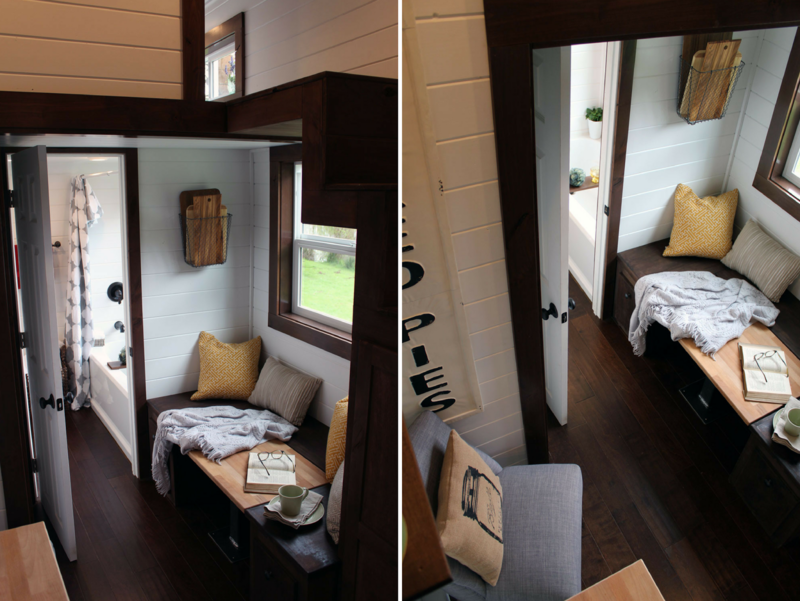 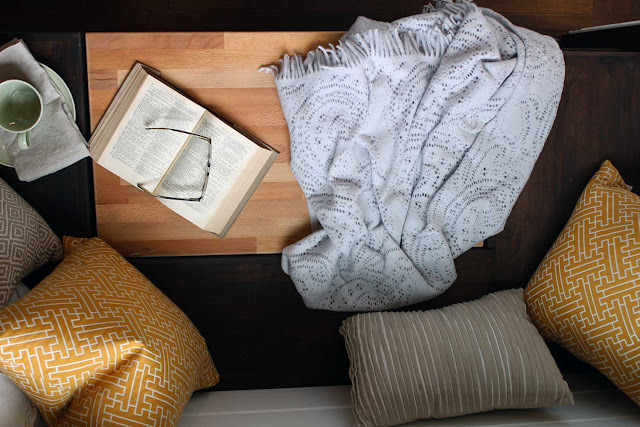 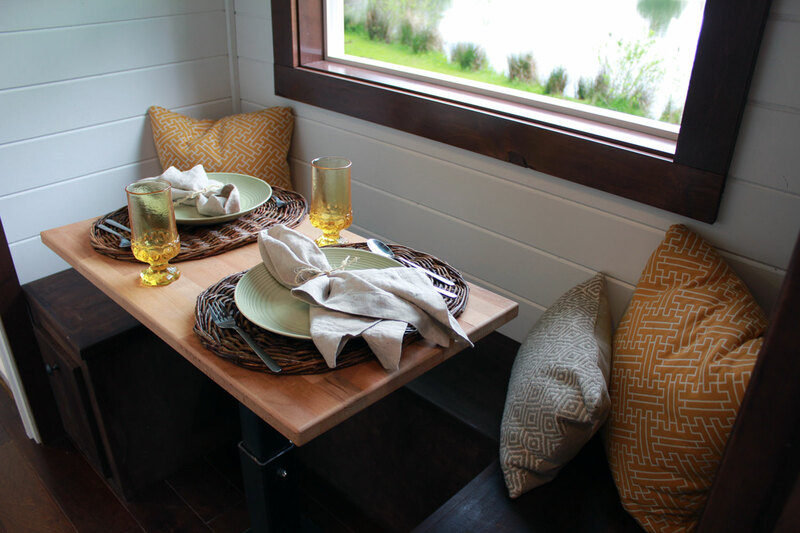 A beautiful green tiny house on wheels by Portland-based, Tiny Heirloom. The home was designed for a military family of four who wanted a retro-style home. 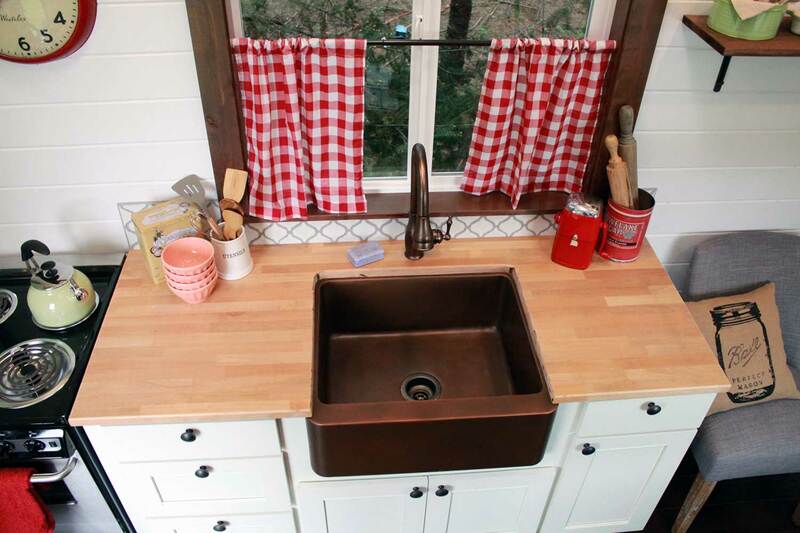 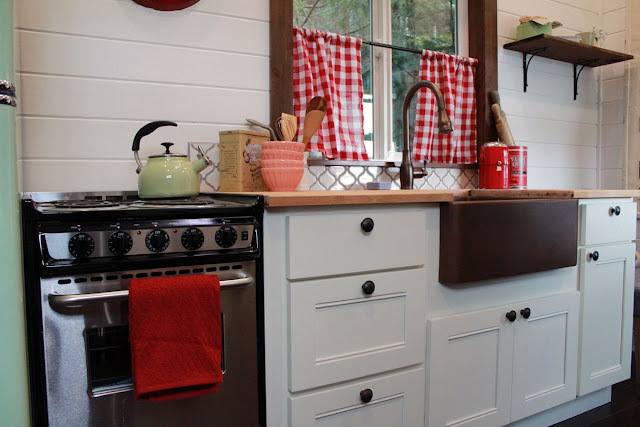 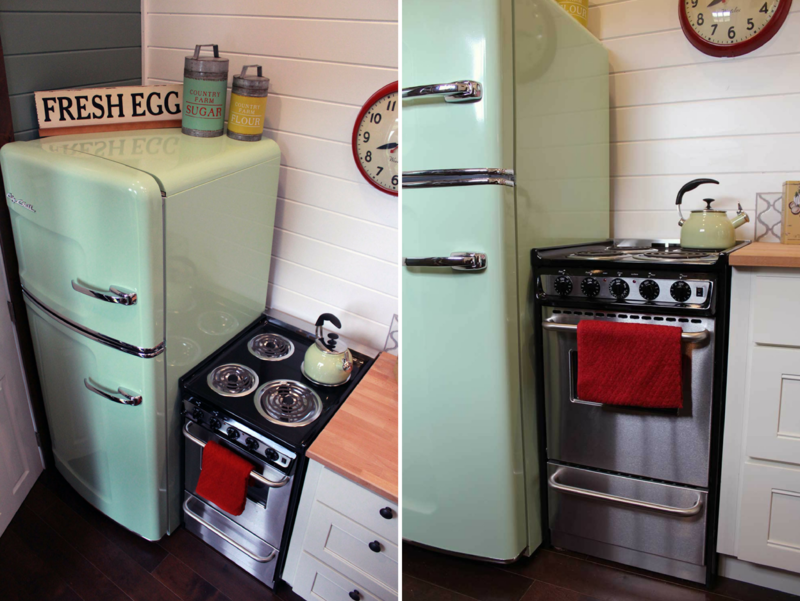 The 50's style fridge, classic kettle, and gingham curtains certainly help create the right look!